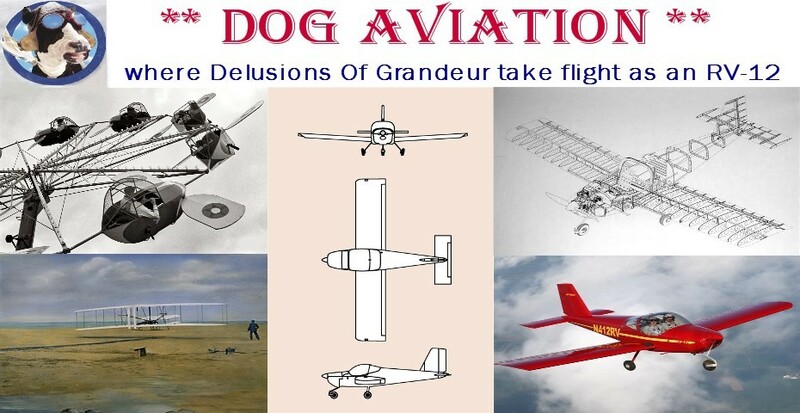 Time spent at the DOG Aviation hangar over the last couple of days has been spent doing a little brainstorming for the mounting of the voltage regulator, dealing with the missing hole in the nose gear weldment and knocking out a bunch of small tasks which are not really noteworthy. One task that had been on the back burner for a very long time was installing the VA-104 knob and F-1259G fuel valve handle onto the fuel valve. The VA-104 knob requires match drilling a #16 hole ¾" to 1" deep down into the knob for a screw that will attach theVA-104 knob onto the F-1259G fuel valve handle. The knob is already countersunk for the mounting screw but has a small hole that needs to be enlarged to #16 so the threads of the screw will cut their own threads into the soft plastic knob. Using a drill press to drill a #16 hole 3/4" down into the VA-104 knob for a screw. After the hole was drilled, the VA-104 knob was screwed onto the F-1259G fuel handle and the assembly was mounted onto the fuel valve using a clevis pin, a couple of washers and a cotter key. Another small task completed involved installing the rubber seals onto the lower cowl’s duct interface. Three pieces of rubber seal material are cut to lengths specified in the plans and are “glued” onto the duct interface using high temperature silicone. The longest of the three pieces makes a 90 degree bend around the lower portion of the duct interface and it requires clamping to keep the seal tight to the bend while the silicone cures. A thin metal strip formed to the bend on the duct interface was made to keep the rubber seal tight to the curve when the clamps were tightened. Prior to applying the high temperature silicone, the mating surfaces on the duct interface were sanded and cleaned with denatured alcohol. To minimize the potential for a mess occurring the area adjacent to the duct interface was masked off with painters tape. The sides of the duct interface received a coating of high temperature silicone that was spread evenly using a wooden tongue depressor. The longest of the three pieces was installed first and clamped so the seal would stay tight to the duct interface in the area of the bend. Checking the fit of the last of the three pieces of rubber seal prior to slathering the duct interface with high temperature silicone. The plans instruct the builder to insure there are gaps strategically placed where the rubber strips are adjacent to one another to allow for the rubber to spread out when compressed without bunching up on the adjacent rubber seal. Completed instillation of the rubber gap seal onto the lower cowl’s duct interface. Decided it would not hurt to use a few wooden strips to help keep the rubber duct seal tight to the duct interface as the silicone cures, so some were clamped onto the duct seal.